OUR SCALE CONTROL SOLVENT AS-02 IS AN ORGANIC LIQUID SOLVENT, SPECIALLY DESIGNED TO TREAT CHALLENGING ASPHALTENE DEPOSITS. Formation of organic deposits such as asphaltene within a well or pipeline can cause problematic blockages, adversley affecting the recovery of hydrocarbons. Our organic scale control solvent AS-02 is an organic liquid solvent, specially designed to treat challenging asphaltene deposits, whilst other Aubin products may be more suitable for other types of organic deposit. 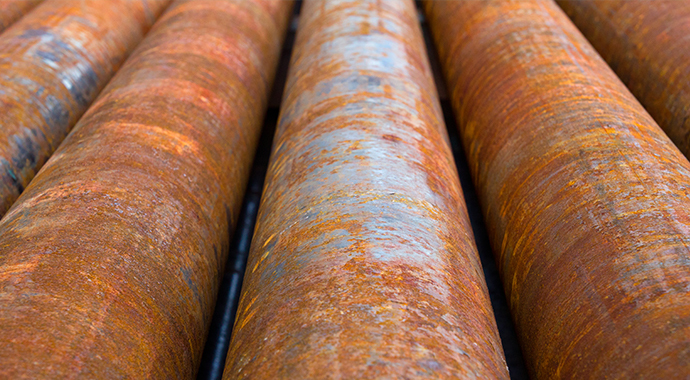 AS-02 can be used in downhole treatments, flowlines, pipelines & process equipment. Where practical, batch treating with a soak period is the preferred method, although continuous treatment is possible. Agitation or fluid movement through circulation is beneficial; increased temperature speeds deposit removal.